By way of thematic, authentic and first-class constituents, gems and expensive materials, in the world of belts the expenses can be assessed up to thousands of bucks. 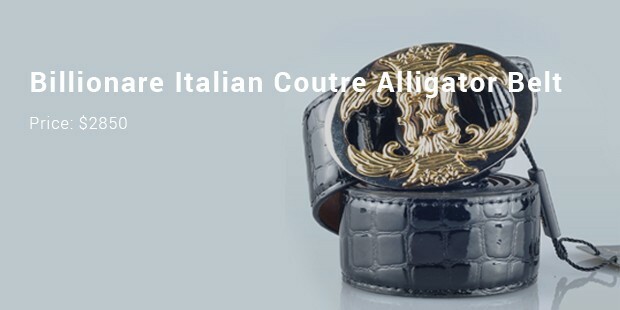 Designing it as an indispensable accessory of men, the makers of the most expensive belts, understood that these must be one of a kind and should articulate opulence, grandeur and fine sense of fashion. 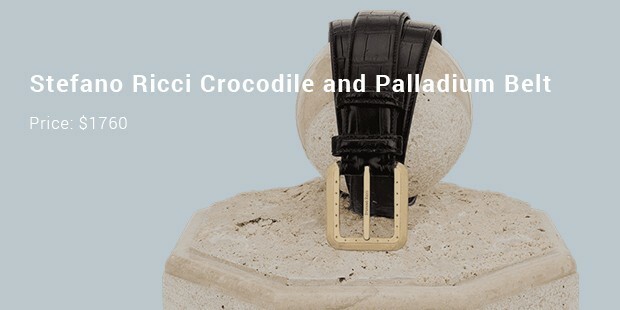 We, in this catalogue, are displaying a list of the most expensive belts in the world. Some belts are encrusted with diamonds, and other precious stones, while others are made of gold. All in all, the spell grandness in every detail. Gucci is among the most popular fashion brand, both in women’s prodects as well as men’s. 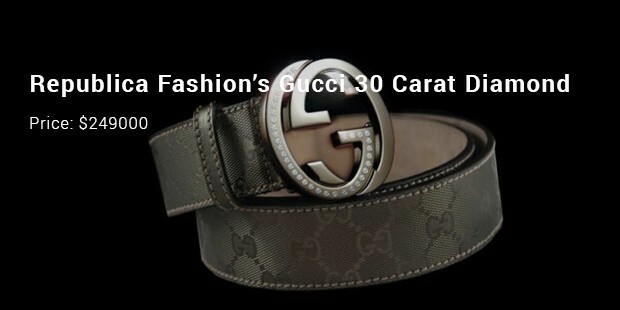 It took class a notch higher when it designed a 30 carat diamond belt. 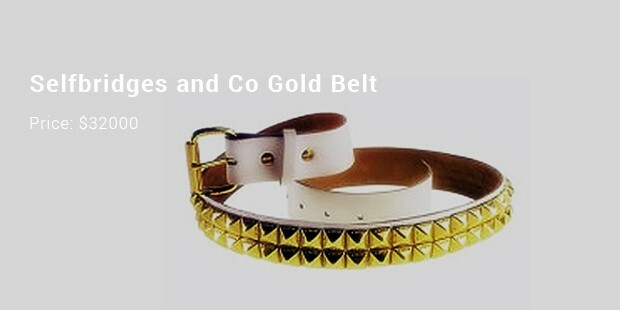 This beauty of a belt is sure to dazzle you completely and so is its price tag. It comes at a monstrous price of $249000! 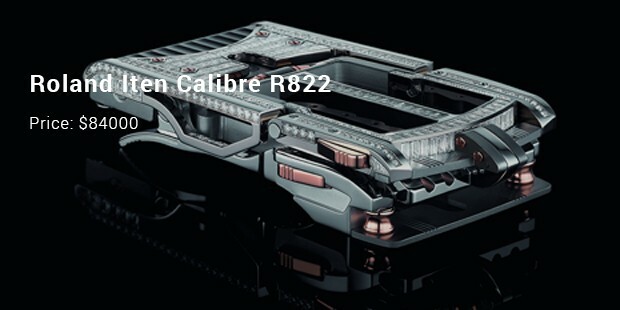 Second up on this list is the Roland iten Calibre R822. It will cost you a sum of $84000 to bring this magnificent piece home. It has precious 14 carat diamonds caked in it. The design of this resembles a predator and is, therefore, often dubbed as the predator machine belt. This belt is majestic and expensive, of course. I guess, the price tag of $32000 speaks of itself. The buckle is created with pure gold. To top is up, the belt is made of pure leather. 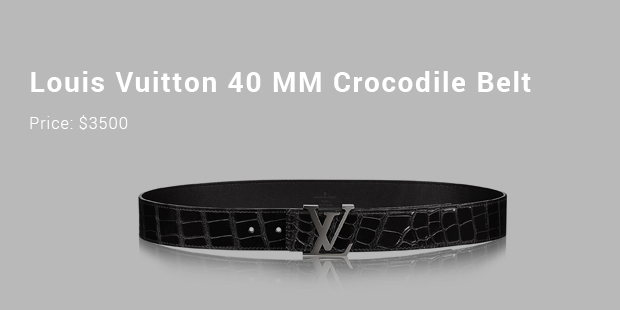 It looks luxurious and is also dubbed as the most luxurious and grand-looking belt in the world. 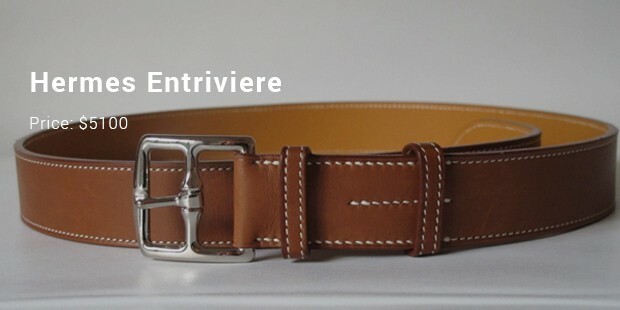 We all know that a good belt is a prerequisite to create a fashion statement. It is a superb fashion accessory or add-on for both men and women folk. 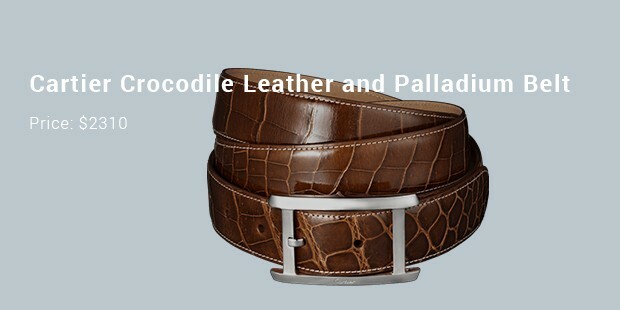 Our list, however, deals with the most luxurious belts in the world. What adds to the price are the extravagant buckles.